Here you will find our Specialty Menu. 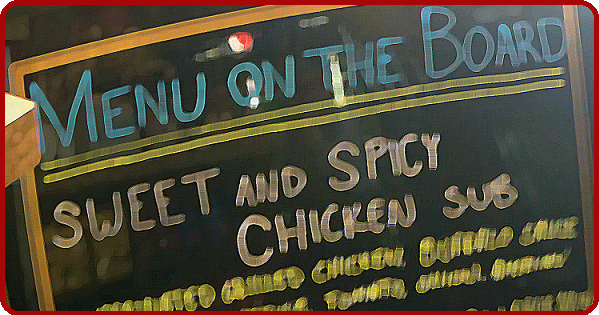 Check often as we are constantly changing out the Menu on our in store Board. On this page you will see all of our current options. ENJOY! *Lettuce, Tomatoes, Onion and Jalapeno.